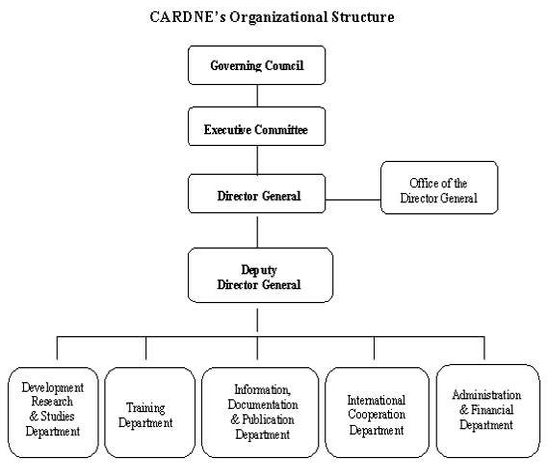 CARDNE is an autonomous intergovernmental organization hosted by the government of the Hashemite Kingdom of Jordan. It is based in a premises provided by the Government of Jordan in Abdoun area in the Capital City Amman. 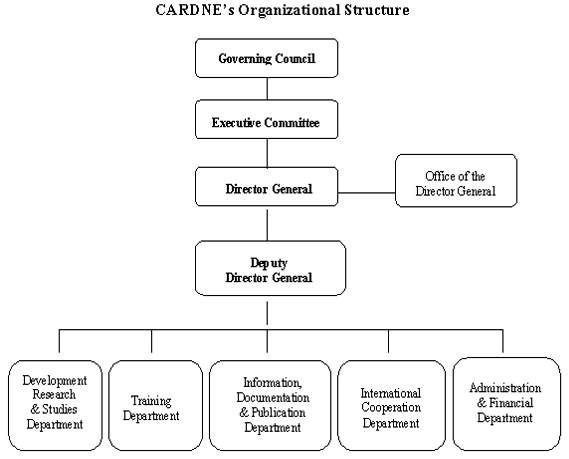 The Centre is governed by a Governing Council consisting of all member states, which meets once every two years. An Executive Committee of five member states oversees regular activities, and meets at least once a year. The Director General is the legal representative of the Centre, he directs the Centre according to the policies and decisions adopted by the Governing Council. Director of Administration & Financial Department.